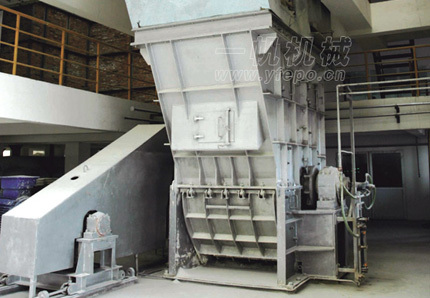 [ print ] [ collection ] DSJ Series Drying Hammer Crushers is suitable for crushing and drying soft or nonabrasive materials, eg:gypsum, chalk, clay, slurry, filtered cake, etc. It can break up, dry and calcine industrial byproduct plaster, flue gas desulfurized gypsum. This equipment is of high efficiency and low energy consumption. It has the function of breaking up and crushing the materials while drying them. The rotary totor breaks up the materials, hot blast dries them, and air flow takes the crushed and dryed materials into separation chamber. Afterwards, fine powder is separated in cyclone, while coarse particles goes back to the hammer crusher and crushed again. DSJ Series Drying Hammer Crushers adopt reasonable and reliable process technology, high-quality material and advanced automated processing equipment, which ensures the reliable and steady operation, and convenient maintenance. Each environmental indicators of this equipment are in line with the requirements of the country. download the brochure to get the details about drying hammer crusher.